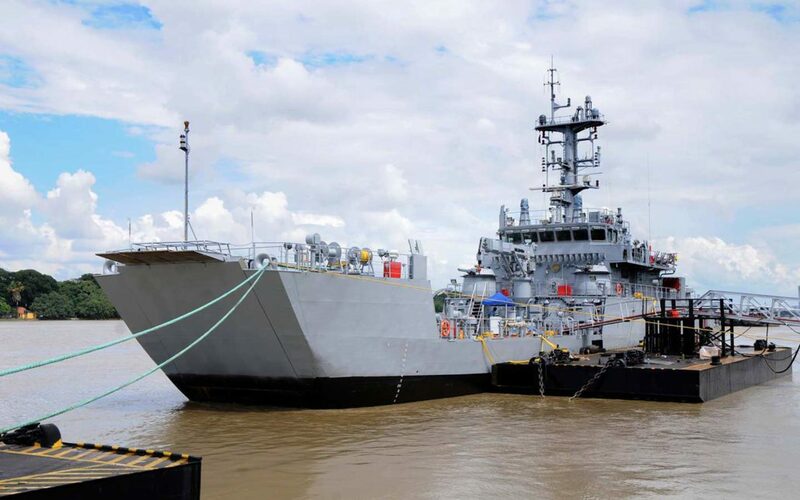 Newthex delivered 8 Ro-Ro ramps to several Landing Craft Vessels for the Indian Navy. The 5th vessel was commissioned on the 19th of December 2018. The ramp is capable of supporting heavy vehicles like tanks. The vessel can be deployed for maritime roles that require amphibious capabilities. The LCU MK IV class can carry up to 216 personnel and 145 tonnes of cargo. Multiple crews have been trained by Newthex these past years, how to operate the ramps safe and correct in case of an emergency.